Rte. 125 Is Chickering Rd. Looking to change your lifestyle? 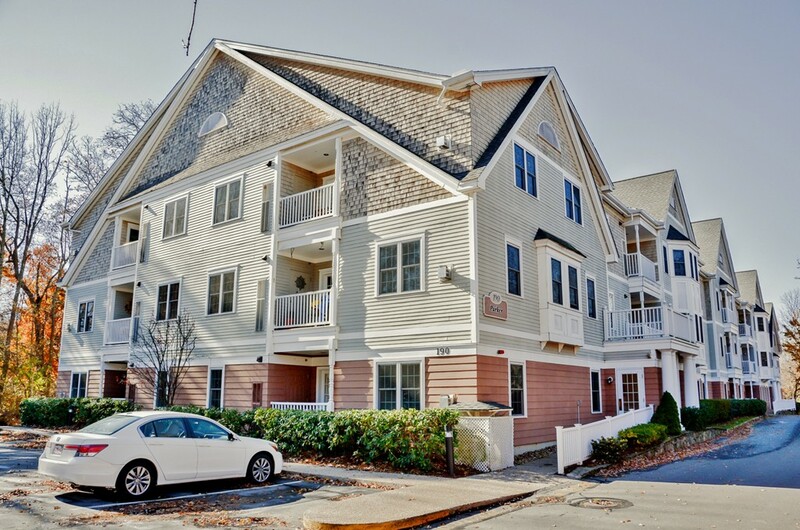 Check out this 'Priced to Sell' 2 bedroom, 2 bath condominium with open concept living at the desirable Kittredge Crossing! Situated in the back of the complex, away from busy Rt. 125, it enjoys the nicest setting in the complex, yet offers easy access to shopping, restaurants and highways. The owners switched the use of the living room and dining room for entertaining purposes. Easy enough to switch it back! Enjoy a private wooded view from your covered balcony, or the use of the clubhouse with its work out room, rec room, and outdoor, in-ground pool. There is a deeded parking spot and pets are allowed with restrictions. Ample visitor parking too! Elevator can take you down to your large storage area (#23D). If you're tired of mowing, shoveling, raking, etc. OR are really tired of paying high rent, consider purchasing this condo as the alternative!